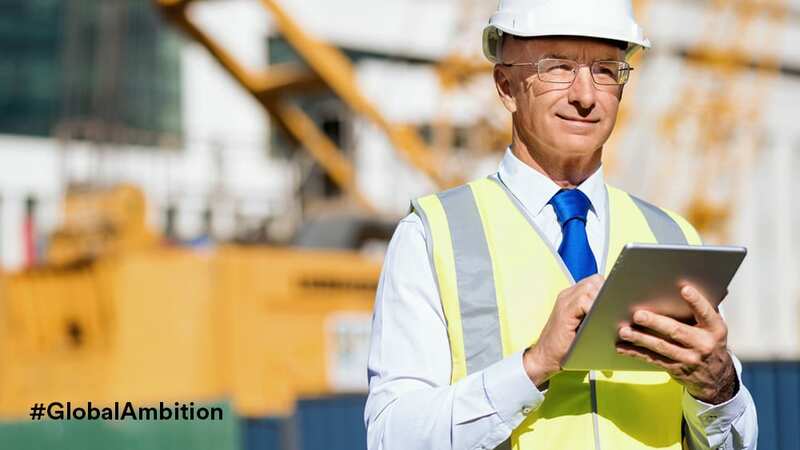 John Hunt, senior market advisor for the construction sector at Enterprise Ireland, describes how Irish construction companies are gaining competitive advantage by investing in digitisation. For construction companies in Ireland, investment in digitisation was once hampered by uncertainty about cost and the likelihood of generating an immediate return on investment (ROI). Disruption from digital is, however, high on the international agenda. Globally, the sector is undergoing a digital transition, particularly evident with the increasing adoption of Building Information Modelling (BIM). Today, ROI is often understood by the sector to mean the potential cost of doing nothing, or the ‘Return On Inactivity’. BIM, an innovative 3D digital process, gives construction professionals insights and tools to design, construct and manage projects more effectively. Irish companies have moved ahead of international competitors in the adoption of digital technologies, with Enterprise Ireland delivering targeted BIM capability programmes for SMEs since 2013. A number of recent announcements further support Irish companies to compete in the evolving international marketplace, delivering an advantage at a time when there is much to gain from winning overseas opportunities. As a major client of construction services, the government’s commitment to a four-year adoption of digital technologies across its public capital programme is an important milestone. A digital procurement directive was signed by the Minister for Public Expenditure and Reform, Paschal Donohoe TD and the Minister of State for Public Procurement, Open Government and eGovernment, Patrick O’Donovan TD. The government announced its approval of the National BIM Council’s ‘Roadmap to Digital Transition’, the first digital strategy for the industry in Ireland, published in December. The Roadmap reports that Irish companies are aware that the adoption of international best practice positions them best for growth and do not wish to ‘reinvent the wheel’. The Roadmap’s strategy is aligned to support the needs of the SME community that makes up almost 95% of the sector in Ireland and across the European Union. The combination of increased government support and the strategy described in the Roadmap presents an opportunity for more Irish companies to become leaders in implementing common standards and guidelines to international best practice in BIM. It is essential that Irish companies use supports available to respond to demand and keep pace with international competition. The work Enterprise Ireland has done to promote BIM to support the Construction 2020 Strategy and the recent Action Plan for Jobs 2017 has received wide industry support. These initiatives are timely and urgent, given the industry’s importance to the national economy. One in ten jobs in Ireland is employed by the construction sector. The push to digital best practice will give our companies more productive ways of working that improve competitiveness at home and overseas. This article was originally published in the Sunday Independent.